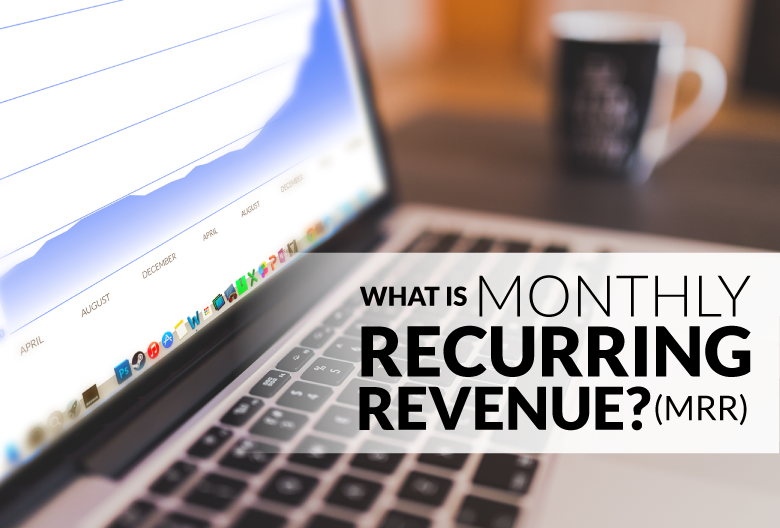 Monthly recurring revenue (usually referred to as MRR) is one of the most meaningful metrics a SaaS business can measure. After all, the entire subscription-based business model hinges on the ability to generate and maintain a profitable MRR. If you aren’t familiar with how to calculate and optimize MRR, you could be leaving cash on the table without realizing it. MRR not only tells you have much your customers are paying you for subscriptions each month, but also reveals whether your business growth and momentum is sustainable. Why should my business care about MRR? What is the MRR formula? What mistakes should I avoid when measuring MRR? How can I optimize and improve my business’ MRR? MRR is the amount of money paid monthly for subscriptions for your product or service. Calculated as a dollar amount that represents all recurring revenue, MRR normalizes for various subscription terms (like different pricing plans and billing periods) to give you a consistent value that you can track. Put simply, MRR gives you a clearer perspective of your business’ health and trajectory. You probably already know at least one good reason to measure your MRR: it tells you how much revenue is coming in each month. But there are more nuanced reasons to keep an eye on your MRR, too. If a subscription-based business fails to track MRR consistently, their projections can get seriously skewed. Not only can this cause you to mislead investors, but it can also create unrealistic expectations and goals for your team. MRR is one of the most reliable metrics for tracking business growth. It’s the purest measurement of revenue in the world of SaaS and reveals whether your momentum is picking up or slowing down. MRR is a key financial metric for any sales projections. Since the revenue is recurring, MRR is a valuable piece of data for SaaS business’ that need to make predictions about their long- and short-term growth. For better or worse, getting a clear picture of your growth and momentum can help motivate your sales reps. Experiencing rapid growth can amp up your sales team, while declining MRR can incentivize them to close more deals this month. As long as you’re calculating it correctly, knowing your MRR allows you to budget more accurately for sales and marketing. Plus, if your growth starts to slow down for any reason, MRR can help you identify the trend before it becomes a bigger problem. There are two different ways to calculate your monthly recurring revenue. The first is to add up the value of all paid subscriptions. So if Customer A pays $50/month, Customer B pays $75/month, and Customer C pays $110/month, your MRR would be $235. Easy, right? While the customer-by-customer method is simple in theory, it becomes quite tedious when put into practice – especially as your business scales up to serve a much larger customer base. A better option would be to multiply the number of customers you have by the average of their monthly fees (also known as average monthly recurring revenue per user, or ARPU). In this case, if you have ten customers paying an average of $80/month, you would have an MRR of $800. The more customers you acquire, the more sense it makes to calculate MRR using ARPU. Recurring Sources of Income: This includes any and all recurring monthly fees that you earn from your existing customers. Changes to Existing Accounts: If you offer different subscriptions levels, a number of customers might upgrade or downgrade in a given month. It’s important to track the recurring revenue gained or lost from these changes to ensure your MRR stays accurate each month. Revenue Lost to Customer Churn: Every business experiences some rate of customer churn and the lost revenue will affect your calculation. MRR churn is the total amount of recurring revenue lost to account closures or cancellations. Here, your baseline is how much MRR you had at the beginning of the month, gained MRR is additional revenue from new customers acquired or accounts upgraded during the month, and lost MRR is the decrease in revenue from downgrades and customer churn. If you want to measure your growth in years instead of months, simple multiply your MRR by 12 to calculate your annual recurring revenue (ARR) instead. Since MRR is meant to be the purest representation of your revenue, you want to avoid adding unnecessary elements to your calculation. For example, one-off charges for new accounts should not factor into your MRR equation. Another major mistake is including the entire value of an annual or quarterly contract in a single month. Even if a payment is made in full, the value should be divided by the number of months in the contract before adding it to your MRR calculation. By increasing your MRR, you’re securing a steady stream of revenue. The more recurring revenue you can generate, the higher your chances of long-term success. Money earned from existing subscribers directly contributes to your MRR. By encouraging customers to upgrade to a higher subscription tier or purchase additional products, you can get more value from the same number of customers. Providing better customer experiences can lengthen your customer lifetime value (LTV) and bump up your MRR. The more customers you retain for the long-haul, the more sources of revenue you can count on. If customer retention is particularly low, you may need to re-examine your product-market fit. On the other hand, it could be that your marketing is attracting the wrong type of customers. Your marketing and sales messaging need to be purposeful. You (hopefully) know exactly who you want to target, so all of your messaging should be written specifically for your ideal customer. It’s not about casting the widest net possible, it’s about catching the biggest, most valuable fish. When sales and marketing work together to bring more qualified leads on board, MRR can increase more quickly. Like most SaaS companies that operate on a subscription basis, your success is tied to whether or not you can build up a sustainable MRR. It’s important not only to measure and track your MRR, but also to interpret and address any fluctuations in your recurring revenue. Use your understanding of this key metric to keep a close eye on your business’ trajectory so you can ensure it continues on an upward trend in the months and years to come.